← How to convert part of PDF? 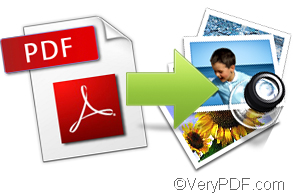 VeryPDF PDF to Any Converter differs from other PDF conversion products because it integrate the following functions: convert PDF to Word, convert PDF to Excel, convert PDF to PowerPoint, convert PDF to HTML, convert PDF to XML, convert PDF to Encapsulated Postscript, convert PDF to PostScript, convert PDF to text and convert PDF to images. There are two versions of VeryPDF PDF to Any Converter . You click the following links to have a try. The [PDF to Word]option within VeryPDF PDF to Any Converter allows you to directly convert PDF to MS Word format—DOC, DOCX, and RTF. What’s more, you can set page layout for the Word file. Need to copy the contents of PDF into PowerPoint for your next presentation? Well, the [PDF to PPT] option within VeryPDF PDF to Any Converter will do the trick. The [PDF to PPT] option within VeryPDF PDF to Any Converter lets you directly convert PDF MS PowerPoint format—PPT and PPTX. With the [PDF to Images] option within VeryPDF PDF to Any Converter , you can convert PDF to almost all formats images—JPEG, JPG, JPE, TIFF, TIF, BMP, GIF, PNG, PPM, PGM, PNM，TGA and PBM. 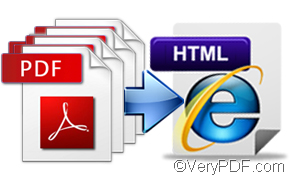 The [PDF to HTML] option within VeryPDF PDF to Any Converter is a good assistant for web developers who want to create HTML documents to take place of PDF file on the Internet. By using this option, web developers can directly convert a PDF file to HTML file. If you want to convert a PDF file to PostScript (PS) file for subsequent processing with some PostScript utility, VeryPDF PDF to Any Converter will be the best tool you can use. With the option [PDF to PostScript], you can quickly convert PDF to PS with best quality. The above functions are just a small part of VeryPDF PDF to Any Converter . If you want to know more about this software or have any good idea, you can leave your comment here or contact support@verypdf.com, we will reply you asap. As long as your advice is adopted, you will get a free product as a gift from VeryPDF. How do I call html to pdf command line without DOS window? How to add a bold font watermark and print PDF via command line? How to print PDF without opening PDF and specify printing page range?